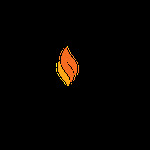 As every year, we'll have a delicious dinner with fun, inspiration and thought-provoking programming. 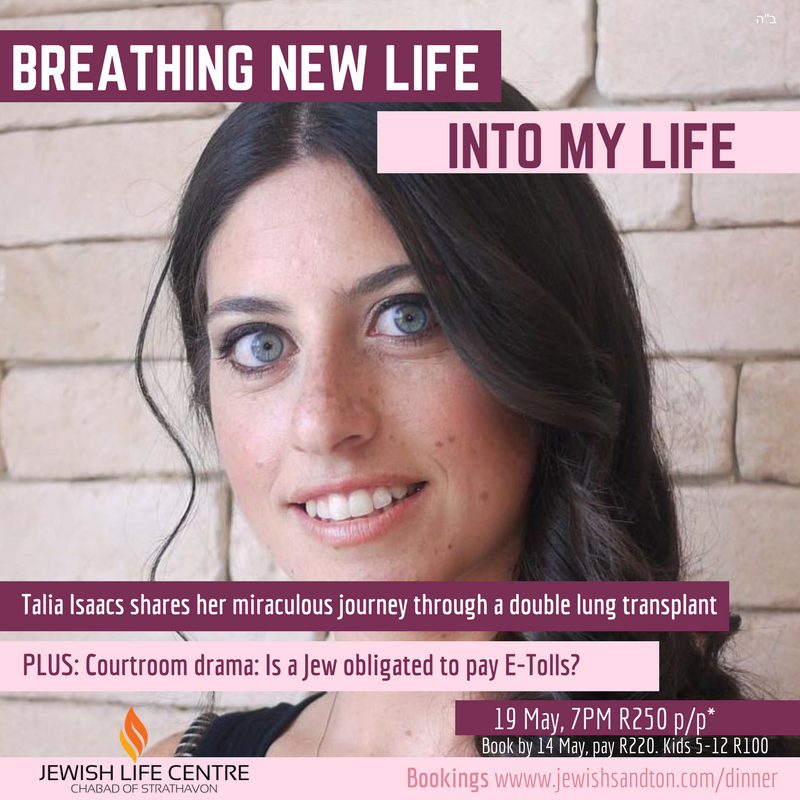 We've got a hilarious ice-breaker planned, then Talia Issacs will share her miraculous story. Talia needed a miracle to survive. Earlier this year, she got that miracle. Hear her moving and inspiring story at her first-ever public talk on her saga. Our dinner will wrap up with a heated debate (yep, we expect you to scan the info provided and share your voice) on the question of E-tolls and whether Halacha obligates a Jew to pay their dues to a corrupt or mismanaged authority. Ian Levitt will be our presiding judge, to determine who makes the strongest Torah-based case. The night doesn't end with dessert. As every year, we have a jam-packed programme of study to take us through the night, in keeping with the age-old Shavuos tradition. 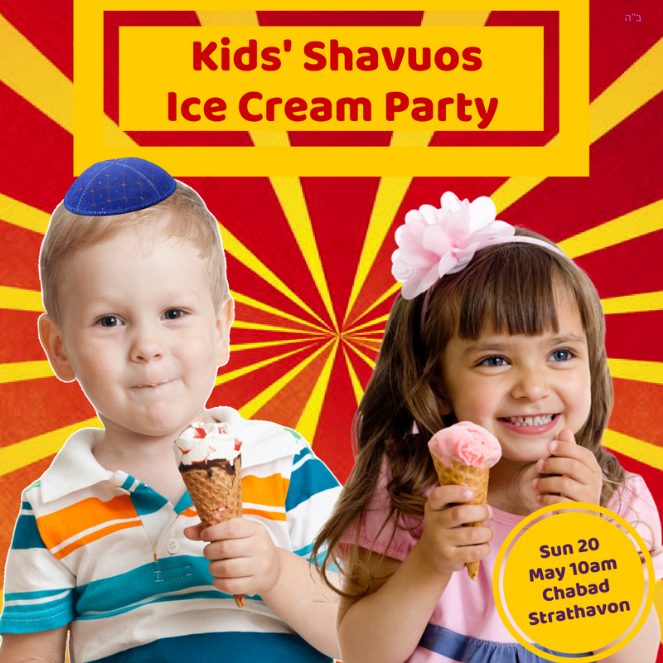 Sunday morning, first day Shavuos, has two main attractions: Join us to hear the reading of the Ten Commandments (really important for men, women and children) and let your kids enjoy our ever-popular ice-cream party!